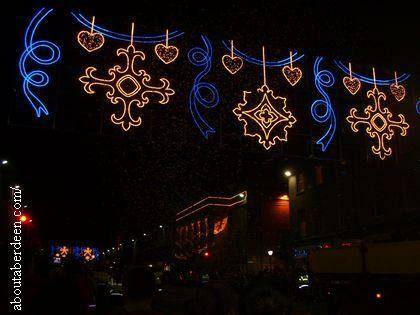 The 2018 Aberdeen Union Street Christmas Lights switch on and the parade promises to be an all-star event with Up Helly Aa Vikings from Shetland leading the parade with the Fire and Ice theme and being followed by Santas on segways and other entertainment. 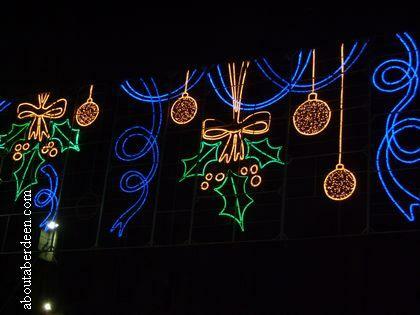 The Aberdeen Christmas lights 2018 switch on will take place at 5:30pm on Sunday 25 November and will be led by Lord Provost Barney Crockett. Do look out for the entrants to the Santa Run as they make their way from Albyn Place to the Castlegate. Road closures for the Aberdeen Union Street Christmas lights switch on parade involve routes from Harlaw Academy at Albyn Place, Union Street and the Castlegate. As darkness falls the Xmas lights will be switched on through Union Street and the parade will take place with festive and carnival characters, street entertainment and musicians. 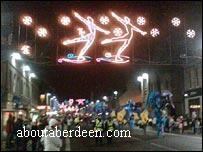 The parade, which forms part of the Aberdeen Winter Festival, is usually themed and celebrities include the HMT pantomime stars and the Lord Provost. As it passes each overhead light it will be switched on. 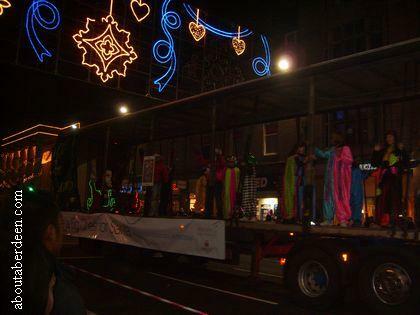 Once the lights are switched on Aberdeen University students will follow in their carnival floats and raise a collection for the students charities campaign. 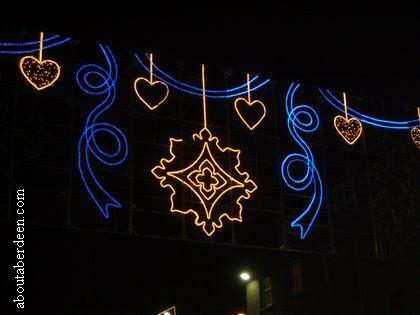 The Christmas lights in Union Street Aberdeen cost approximately �10,000 in electricity charges. 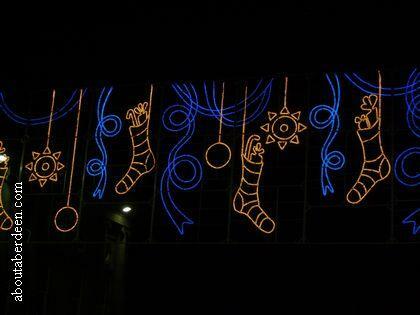 More Christmas Events and to read about the pantomime and other Christmas displays.